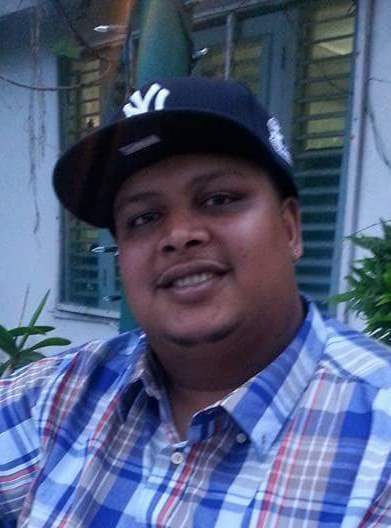 Jason Kirton Kissoon was 35 years old when he passed away Wednesday, September 5th surrounded by his loving family. Born in San Fernando, Trinidad and Tobago, Jason came to the Bronx, New York with his family in 1987 before settling in Hackensack many years ago. A loving and kind-hearted guy, he loved his music, basketball, traveling to Jamaica with his wife Amanda and the New York Yankees. Jason is survived by his devoted grandmother Dolly Kamlachan, his loving parents Ramsaroop and Ann Marie Kissoon, his beloved wife Amanda (Roth) Kissoon, his beautiful son Nicholas, and his cherished brother Kevin Kissoon. His family will receive relatives and friends for a visitation scheduled in the funeral home for Friday evening from 6pm-9pm. Saturday morning a prayer service will be held in the funeral home beginning at 11:30am. Cremation will follow at Cedar Lawn Crematory, Paterson, New Jersey. Jason's family will be receive flowers in his memory at the funeral home on Friday.